B-Part, a temporary wooden construction, was officially opened in front of approx. 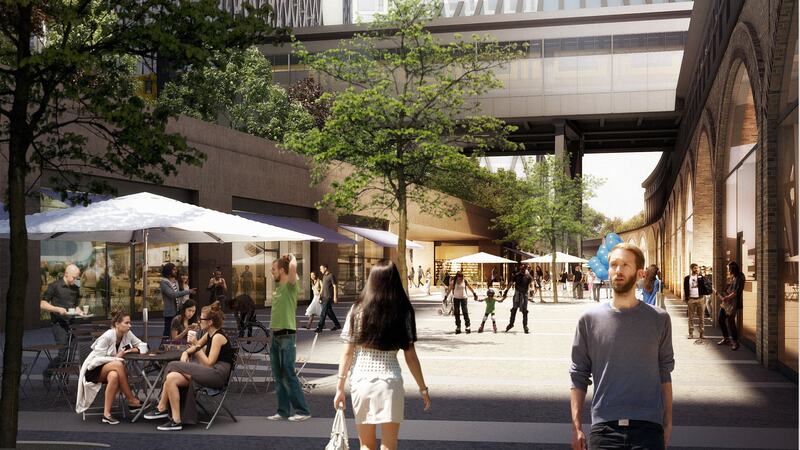 200 invited guests on the site where Urbane Mitte Am Gleisdreieck will later take shape. 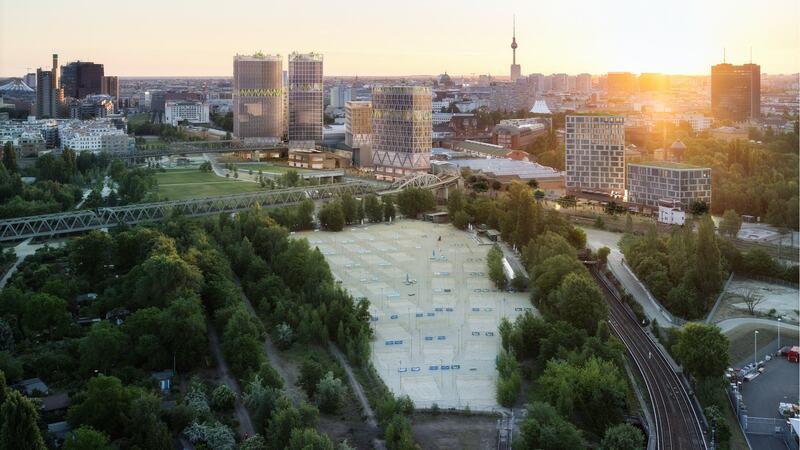 Berlin, 29 March 2019 – Directly alongside Gleisdreieck Park, B-Part will provide around 1,000 square metres of space, available from now onwards, for people who want to experience, explore and shape the living and working environments of tomorrow. 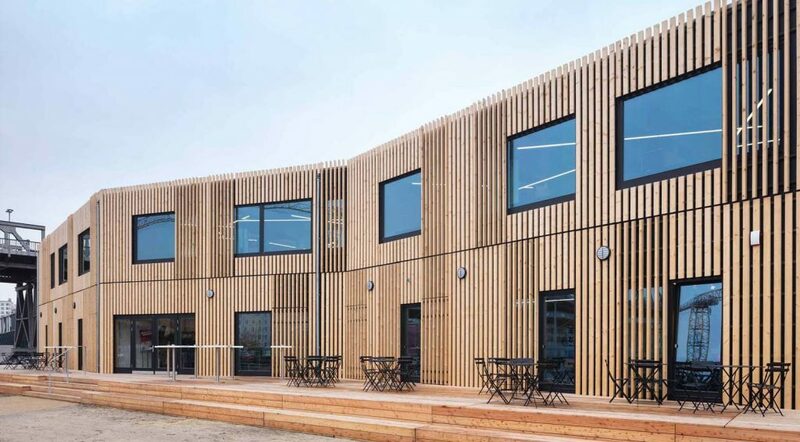 The building consists of two parts: the hardware – a timber construction which provides around 100 spaces for flexible, healthy and inspiring work; and the software – the Urban Ideation Lab, located inside B-Part. The Lab offers six free-of-charge curated workspaces linked to scholarships awarded for research into pioneering ideas and solutions to create urban districts people enjoy living in. B-Part is also home to a public café and spaces for art exhibitions and there are plans for an outdoor fitness circuit. Quite unlike any other urban laboratory in Berlin, B-Part Am Gleisdreieck creates a unique meeting spot for neighbours, locals, entrepreneurs, creatives, art aficionados, sports enthusiasts and culture vultures alike. Katrin Lompscher, Berlins Senator for Urban Development and Living and Marc F. Kimmich, CEO of COPRO AG and founder of B-Part Am Gleisdreieck, declared the building officially open at an event to mark the occasion. 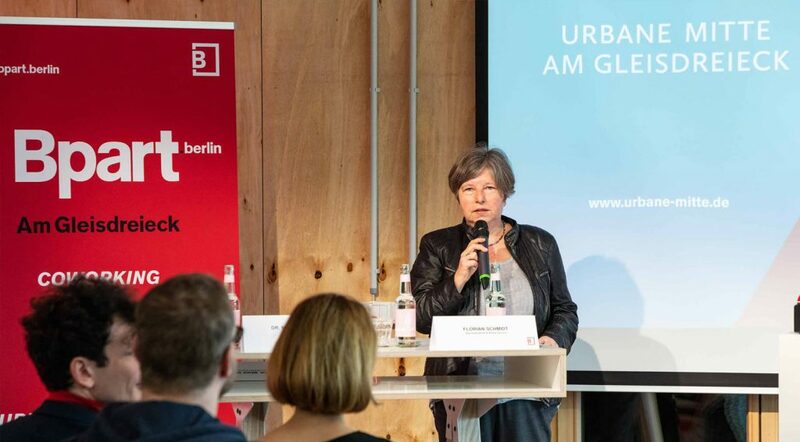 In her opening address Katrin Lompscher detailed the influence projects of this nature could have on Berlin: “Many projects and urban districts are in development in Berlin right now. 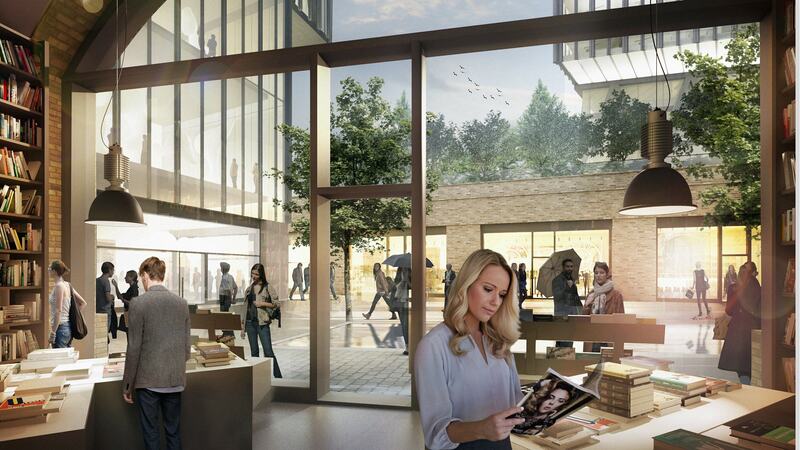 Urbane Mitte Am Gleisdreieck is the final part of a comprehensive redevelopment project in the heart of our city. 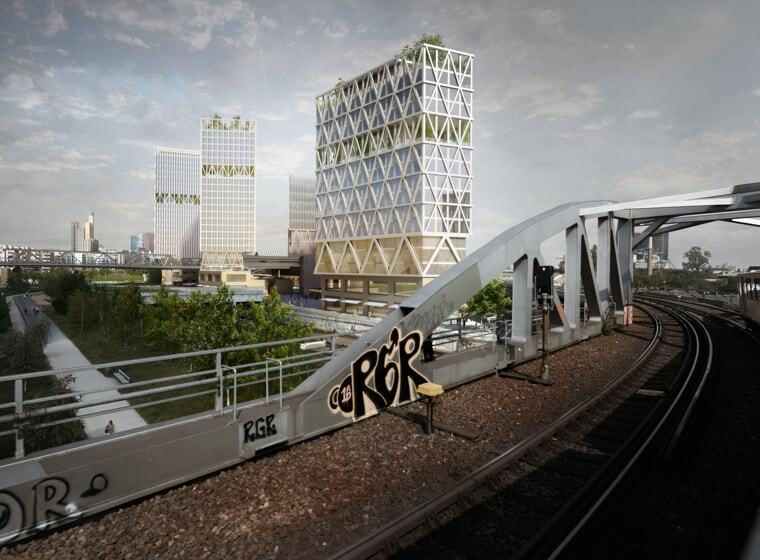 Where there were once only rail tracks, there are now new apartments and a beautiful park. The project will be rounded off with a diverse neighbourhood centre in a few years. 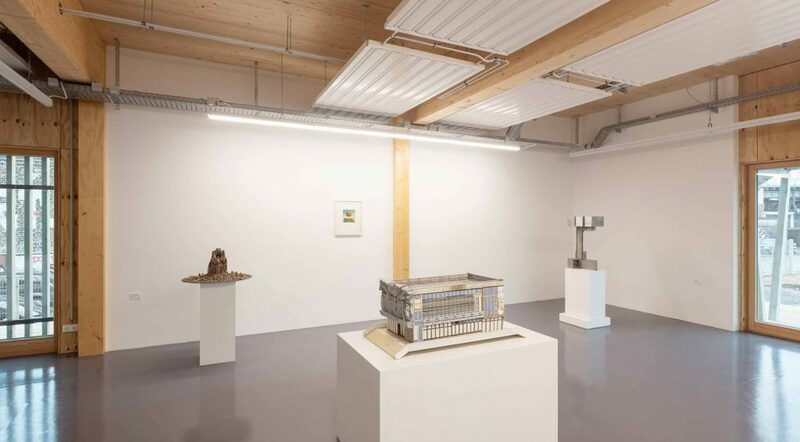 B-Part, as a temporary occupant of this space, is the prelude – and provides an intriguing invitation to dialogue with all parties focused on the common good. The city of tomorrow needs fresh ideas, a wide range of partners and new collaboration opportunities. 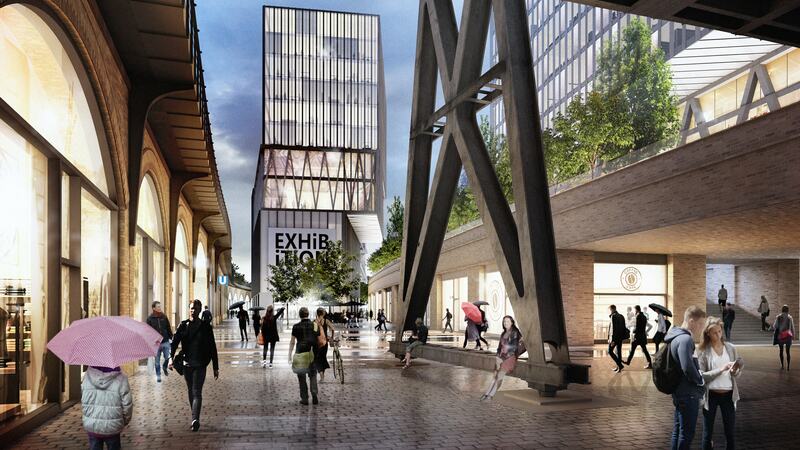 I am delighted with the B-Part project because experimental approaches to urban development define our city. 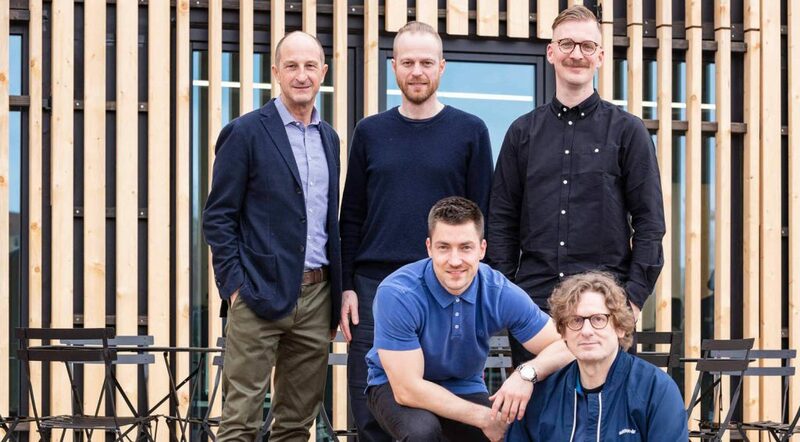 I wish the new urban laboratory every success.” Marc F. Kimmich added: “Our aim with B-Part, like with the BRLO brewery, was to bring to life another pioneering centre that would enrich this location and we have achieved this. The central idea behind this was inspiration through participation. 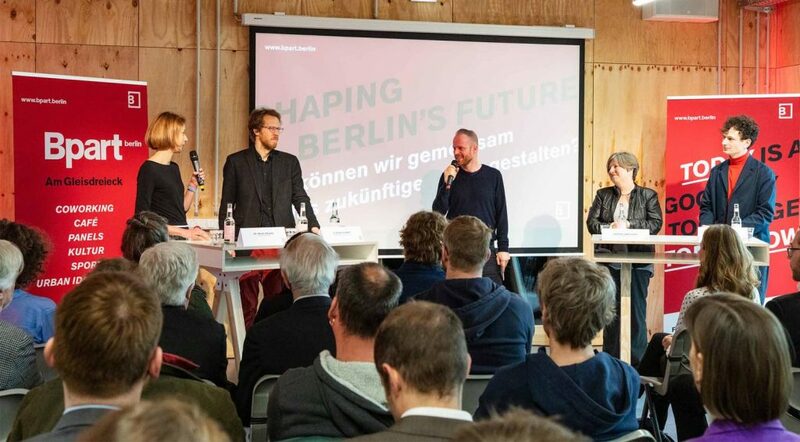 With B-Part, we want to make a positive contribution to the development of the Berlin of today and tomorrow.” On this note, Ansgar Oberholz, the renowned ‘New Work’ pioneer and co-founder of St. Oberholz, who also manages the coworking spaces at B-Part, opened the panel discussion with the question: ‘Shaping Berlin’s future – how can we design the future of Berlin together?’ Alongside Katrin Lompscher, the participants also included Florian Schmidt, district council representative for the Green Party, and Dr. Meike Niedbal, head of smart cities at Deutsche Bahn. 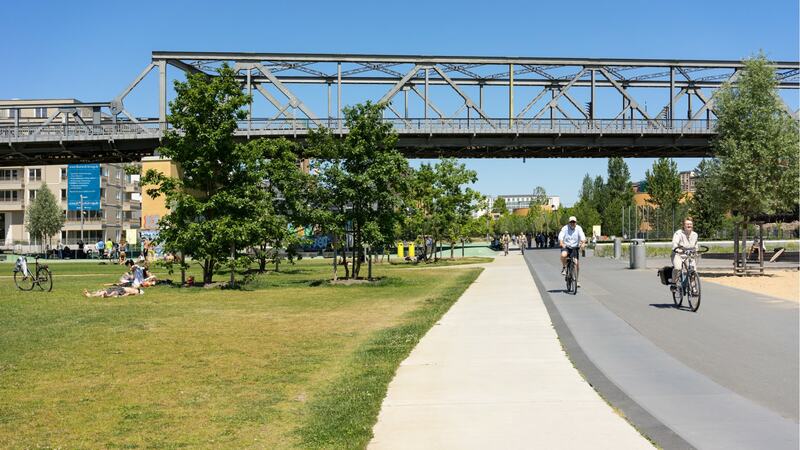 “It was always our intention to ensure that the derelict land on the Urbane Mitte Am Gleisdreieck site would not sit unused before construction begins and to add value in different ways for local residents and interested parties,” Marc F. Kimmich explains. The diverse range of offerings in B-Part already combines the various themes that will define the future Urbane Mitte Am Gleisdreieck. 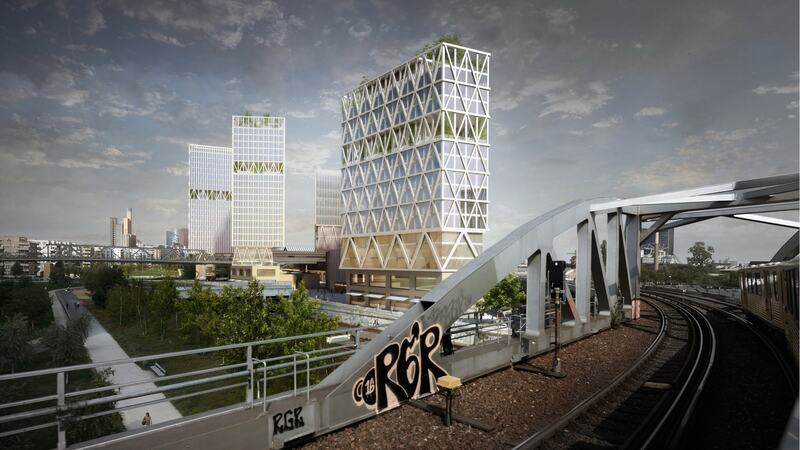 The project is a miniature version of what Urbane Mitte Am Gleisdreieck is intended to become: a place for people and companies to grow, develop and be who they want to be. 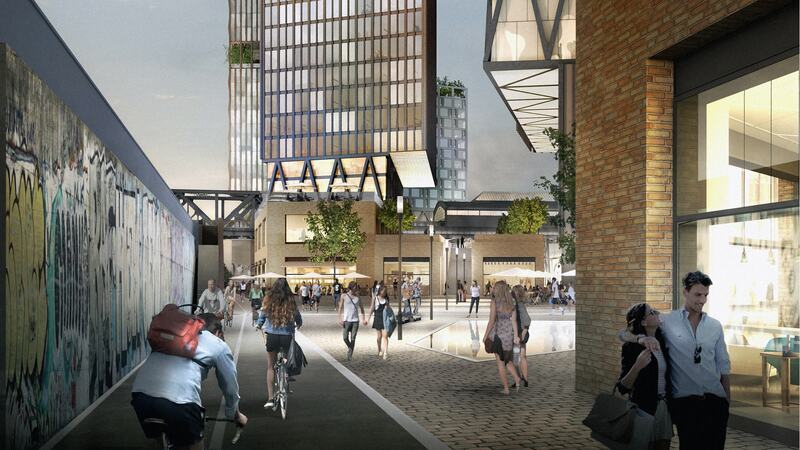 Urbane Mitte Am Gleisdreieck will also harmoniously unite all aspects of how we will live and work in the future: new ways of working, mobility, subsidised art and culture, digitalisation and a diverse range of sports. 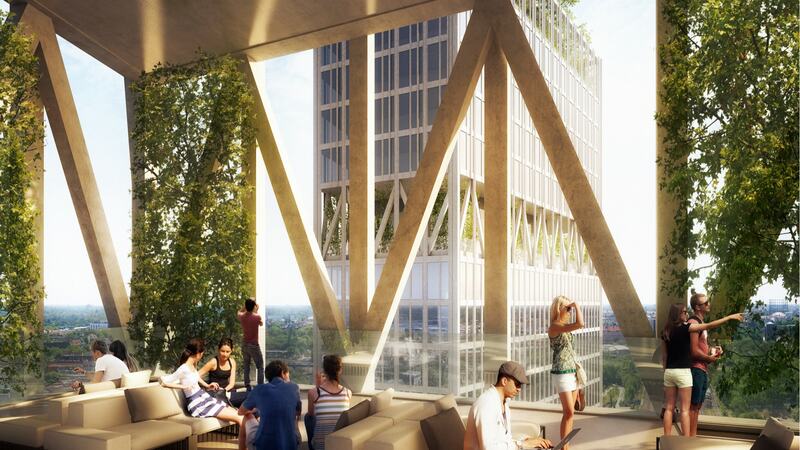 In short, it will be an urban quarter that takes an active approach to social responsibility, representing both a love of this place and the city of Berlin. The Urbane Mitte is diverse. A city quarter with many dimensions in the heart of Berlin. Discover the project while browsing through our articles on the origins, present and future of living and working in the Gleisdreieck area. The Gleisdreieck has always been a place filled with movement. Ideas now circulate in a location where goods were once moved around. A city quarter of real sophistication. People work, live and enjoy life here. The Urbane Mitte wishes to make an impact outwardly and grow inwardly. Integrate into the neighbourhood, make connections and create new opportunities. Provide space for the further growth of the companies and tenants based here. Promote local ideas as well as art and culture. Combine the best aspects of Berlin in the heart of the capital.